I bought an English words book "Practical Guide to English Synonyms" written by Fumi Saisho. The author was a Japanese woman. She wrote movie reviews to an English newspaper for 26 years. 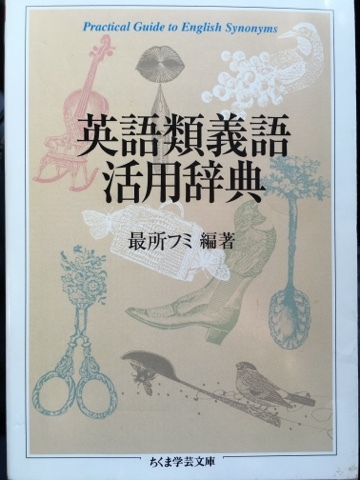 She said in the introduction that this reference book was based on the experience. The book, or dictionary, is useful for writing. I'll refer the book while writing my English blog.